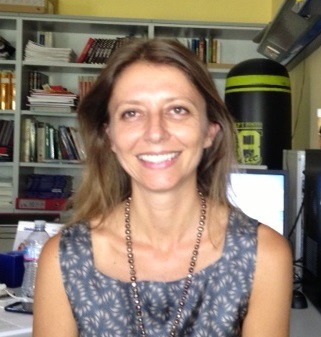 Alessandra Marengoni is a medical doctor, specialized in Geriatrics, with a PhD in Geriatric Epidemiology. Alessandra Marengoni is currently employed as Associate Professor at the University of Brescia, Italy. She works as a geriatrician in the Geriatric Unit of one of the main hospitals in Northern Italy. She is a currently associated to ARC and she is involved in the research group studying multimorbidity in the elderly. The aims are to define chronic diseases and multimorbidity, to select diseases to be included in the definition, to evaluate occurrence, causes, and consequences of multimorbidity in the old population and to investigate patterns of multimorbidity. Pasina L, Marengoni A, Ghibelli S, Suardi F, Djade CD, Nobili A, Franchi C, Guerrini G. A Multicomponent Intervention to Optimize Psychotropic Drug Prescription in Elderly Nursing Home Residents: An Italian Multicenter, Prospective, Pilot Study. Drugs Aging. 2016 Feb;33(2):143-9. Prescription: More Years, Less Medications? A Nationwide Report From the Italian Medicines Agency. J Am Med Dir Assoc. 2016 Feb;17(2):168-72. Onder G, Palmer K, Navickas R, Jurevičienė E, Mammarella F, Strandzheva M, Mannucci P, Pecorelli S, Marengoni A; Joint Action on Chronic Diseases and Promoting Healthy Ageing across the Life Cycle (JA-CHRODIS). Time to face the challenge of multimorbidity. A European perspective from the joint action on chronic diseases and promoting healthy ageing across the life cycle (JA-CHRODIS). Eur J Intern Med. 2015 Apr;26(3):157-9. Marengoni A, Onder G. Guidelines, polypharmacy, and drug-drug interactions in patients with multimorbidity. BMJ. 2015 Mar 11;350:h1059. Santoni G, Angleman S, Welmer AK, Mangialasche F, Marengoni A, Fratiglioni L. Age-related variation in health status after age 60. PLoS One. 2015 Mar 3;10(3):e0120077. Melis R, Marengoni A, Angleman S, Fratiglioni L. Incidence and predictors of multimorbidity in the elderly: a population-based longitudinal study. PLoS One. 2014 Jul 24;9(7):e103120. Melis RJ, Marengoni A, Rizzuto D, Teerenstra S, Kivipelto M, Angleman SB, Fratiglioni L. The influence of multimorbidity on clinical progression of dementia in a population-based cohort. PLoS One. 2013 Dec 30;8(12):e84014. Caracciolo B, Gatz M, Xu W, Marengoni A, Pedersen NL, Fratiglioni L. Relationship of subjective cognitive impairment and cognitive impairment no dementia to chronic disease and multimorbidity in a nation-wide twin study. J Alzheimers Dis. 2013;36(2):275-84. Marengoni A, Angleman S, Melis R, Mangialasche F, Karp A, Garmen A, Meinow B, Fratiglioni L. Aging with multimorbidity: a systematic review of the literature. Ageing Res Rev. 2011 Sep;10(4):430-9. Marengoni A, Fratiglioni L, Bandinelli S, Ferrucci L. Socioeconomic status during lifetime and cognitive impairment no-dementia in late life: the population-based aging in the Chianti Area (InCHIANTI) Study. J Alzheimers Dis. 2011;24(3):559-68. Marengoni A, Rizzuto D, Wang HX, Winblad B, Fratiglioni L. Patterns of chronic multimorbidity in the elderly population. J Am Geriatr Soc. 2009 Feb;57(2):225-30. Marengoni A, von Strauss E, Rizzuto D, Winblad B, Fratiglioni L. The impact of chronic multimorbidity and disability on functional decline and survival in elderly persons. A community-based, longitudinal study. J Intern Med. 2009 Feb;265(2):288-95. Marengoni A, Winblad B, Karp A, Fratiglioni L. Prevalence of chronic diseases and multimorbidity among the elderly population in Sweden. Am J Public Health. 2008 Jul;98(7):1198-200. Qiu C, Winblad B, Marengoni A, Klarin I, Fastbom J, Fratiglioni L. Heart failure and risk of dementia and Alzheimer disease: a population-based cohort study. Arch Intern Med. 2006 May 8;166(9):1003-8.